Team Picture // August 2018 If you are a team member and would like to be added to be "Members" page email stuart@crowncouncil.com - we would love to feature you. 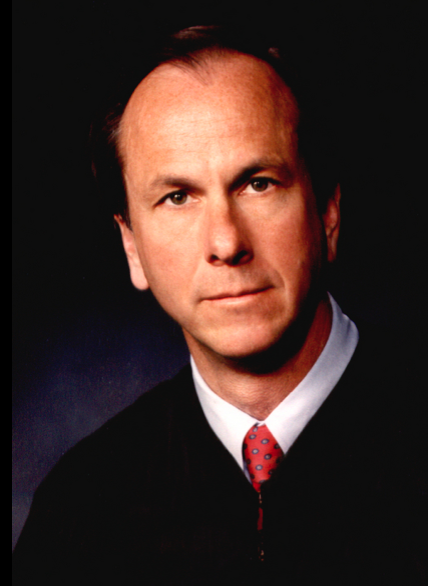 Anthony Badger Quinn, a well-respected judge and keen legal mind, died Thursday, October 24, 2013 in Salt Lake City. He was 60. Tony, an avid cyclist, was killed by a distracted driver while riding his bike up Millcreek Canyon. Tony was born September 9, 1953 in Fort Belvore, Virginia to Horace and Alice Quinn. The youngest of eight in a quintessentially military family, Tony spent his childhood in Greenwich, Connecticut before settling in Bountiful, Utah. After serving an LDS mission in Denmark, Tony completed a BA in History at BYU, where he subsequently enrolled in the J. Reuben Clark Law School. Perhaps most importantly, law school provided the context in which Tony met Drew Barton, the love of his life and eternal companion. Following graduation, Tony clerked for Judge David Winder in the District of Utah federal court, an experience that would later inspire him to become a judge. He then became a distinguished civil litigator, especially enjoying his years working with his older sister, Mary Ann Wood, at Wood, Quinn and Crapo. Governor Mike Leavitt appointed him to the Third District Court bench in 1997. As a judge, he always strove tirelessly to be fair and be prepared. Despite his disciplined and hard-working persona, he was always quick with a joke, kind and generous to those who knew him well. As much as Tony enjoyed legal work, his favorite pastime was cycling. Tony was an incredibly dedicated athlete. He trained year round with an eye toward LoToJa, which he completed 17 and ½ times. He was severely injured at LoToJa in 2012, but defied expectations (and doctor's orders) to complete another 200 mile race just seven months later. A stalwart defender of the law, a loving father and a doting grandfather, Tony influenced many people. He is survived by his wife Drew, his three children: John, Tom (Kati) and Analise (Mac); one grandchild: Ira Anthony; and seven brothers and sisters. He is preceded in death by his parents. Why I Ride: So I can eat as much cheese as I want. BIO: Will grew up in central Wisconsin where he developed a taste for fancy cheeses. After college he moved to Colorado where he bought his first road (cross) bike and did a bit of riding. After a job change moved him to SLC, he became obsessed with canyon climbs and light bikes. He races road regularly now and enjoys punishing himself and others on climbs. If you spot someone riding a bike in wooden clogs while eating a wedge of edam, it's probably him. Bio: Born and raised in SLC, UT. A Husband, friend, wannabe athlete & nerd, abuser of the words ‘BRO’ & ‘DUDE’, fan of cinnamon pop-tarts, and strong believer in the motto- go big or go huge! Professionally, works for a local software company in strategy and finance. Bio: Husband, software engineer, skier, washed-up soccer coach, over-user of the word 'rad', aspiring salsero, can supposedly calculate cadence/speed/power output on the fly without a computer. Why I ride: to test the mantra “Never Peak”. Can I be better today than I was yesterday? Bio: As a converted runner (dozens of marathons, Boston qualifier) who took up spin class as a cross-training tool, the lure of exploring on two wheels was too much to pass up. Growing up racing BMX, and with a bike as the only means of transportation as a kid in Wyoming, it is fitting to see Shawn “seeing where this road/trail goes” on a regular basis. Shawn’s wife knows summer means cycling season, and his 3 boys look forward to fall trips to Lotoja (3x finisher). He loves the friendships and comradery that cycling offers, but won’t pass up a chance to throw it down and see who can get to the top of the next hill first either. There’s no better way to start a day than an hour and a half in the beautiful canyons that surround us. Favorite Ride: Anything with a hill! Bio: Used to run to keep his sanity and relieve stress - joints couldn't take it anymore so switched to mountain biking. One day the guys at his biotech startup talked him into riding to work the next day for Bike to Work Day. Riding his mountain bike ~20 miles to work that day about killed him. So, he got a road bike. Now he loves the canyons and goes up so he can go down... "I feel the need, the need for speed!" LOTOJA finisher five years in a row, even flying out from St. Louis, MO where he lived for 18 mos. to keep the streak alive. Stoked to be back living in SLC and a member of the Mi Duole team. Favorite Ride: Anything with lots of climbing. Bio: Ed has taught skiing at Snowbird for three decades and is the most requested private instructor at the resort. Ed has traveled to more then 40 countries, trekked in the Spanish Pyrenees, Austrian Alps, and Italian Dolomites, and summited Kilimanjaro multiple times. He started racing in '86, and raced road and mountain for 25 years. Mainly fun, long rides now with an occasional race. Ed believes, "Cycling is not just a workout but it is a necessity for having a calm, clear and happy life. We may be able to achieve world peace if we can get everyone on a bike"
Favorite Ride: Road - The GMR (Glendora Mountain Road) and Mount Baldy roads in CA. MTB - Park City single track and the White Rim. Bio: Geno has been the fearless leader of Mi Duole for the past ten years. Known for his strong leadership and climbing skills, Geno is most at home when he's going up, whether it's Park City single track or Little Cottonwood granite. After almost 20 years of racing Geno finally decided to ride purely for fun. Professionally he works as the director, of eBusiness at Intermountain Healthcare. Bio: Chris is loyal to the team, usually following needed instruction to the best of his ability. He often pretends to be a nice guy when around new riders. He enjoys occasional road and MTB races and can be found on the Tuesday & Thursday Mill Creek Canyon rides. Saturday o’dark-thirty rides into Morgan Valley or over the Alpine Scenic Loop are favorites. He loves the road, but lives for the dirt of White Rim and Gooseberry Mesa. Professionally, he is the Director of Conventions for Visit Salt Lake. Bio: Adam rides the roads, but lives for the dirt. He has a fierce competitive spirit which propels him to ungodly speeds up the canyons. Professionally, Adam works as a photographer. Bio: Dave is a Terminator. Half man half machine. Fifteen time LOTOJA podium finisher, with three #1 finishes. Dave takes the podium at all costs and does his best to teach the team to do the same. Professionally, he is the SVP of Risk Management at Pacific Western Bank. Bio: Spencer is the epitome of consistency. He’s dedicated to the team and committed to excellency in both cycling and his career with Dimond Wireless. He has successfully completed 6 LOTOJA races, P2P, local crit races and every Ultimate Challenge that has been ridden all while successfully managing type 1 diabetes. Bio: Andy is a jack of all trades. A St. George Ironman 70.3 finisher, mountain biker, entrepreneur, trail runner, family man, accomplished skier, BSA leader. Andy can rip and is always up for an adventure. Bio: Dan loves anything outside, especially rides of almost any surface with good friends. 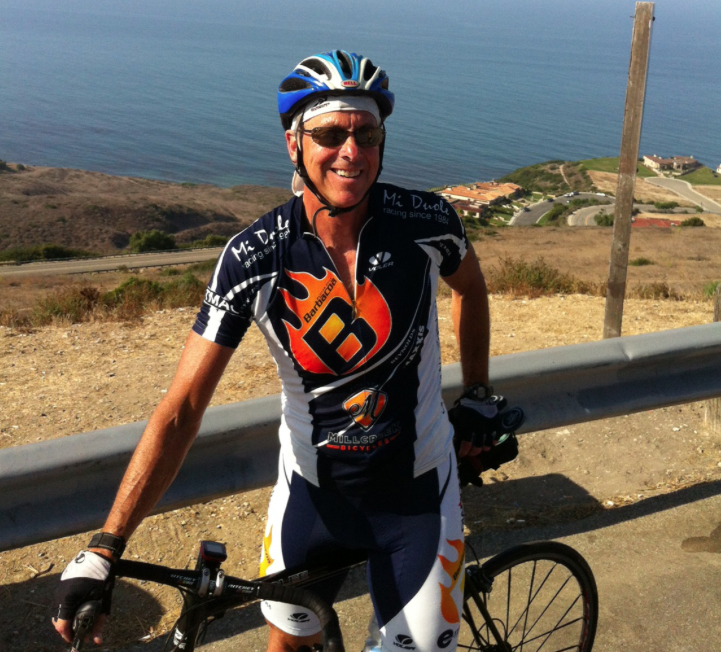 Dan enjoys long cyclocross rides on the beach, moonlit road rides, and climbing the canyons in the sun's long shadow. There is nothing like the camaraderie and banter of a great group ride. Dan works professionally to integrate behavioral health with a local pediatric group. Bio: Kristin is a natural athlete - golf, soccer, triathlon, basketball, marathon. Amongst her many favorite cycling memories is riding up Mill Creek Canyon at 4:30AM during the summer of 2015. Some of her favorite events have been the Huntsman 140, Little Red, Yuba Triathlon, Provo Triathlon, SG Marathon. She is a mother of two young girls and has a serious eye for photography even when going 20 MPH on her bike. Bio: James rides to and from work almost everyday! Different routes, but the same results - KOMs. James will ride on 24 degree mornings and in the pitch black. He is totally committed to the biking lifestyle. Bio: Shelly can climb! She may have on a smile, but deep down she wants to bury you in her wake. A kind hearted soul who can’t escape the need for speed. She is a mother of four and has a long history of athletic prowess: pilates, distance running, swimmer and her new found passion - the bike. Bio: Paul is one tough dude. He has ridden like a champ for years all while being a teacher extraordinaire at Wasatch Junior High. With ten LOTOJA races under his belt and three podium finishes in the last three years Paul has found a system that works. He is a true family man and an anchor to the team. Bio: Jordan loves adventure. Anything outside is good enough for him. He is new to cycling and loves the thrill of being in the canyons. Jordan has recently graduated from college, has a new baby boy and owns a black labradoodle - life is good when Jordan can find time to ride. He is intelligent, strong and a natural athlete on the road or on the dirt. Bio: Jameson is a fierce competitor: St. George Ironman 70.3, Yuba Triathlon, Jordanelle Triathlon, Rockwell Relay, Salt to Saint Relay, Ultimate Challenge, MS Century Ride, the list could go on. He will take it to you on the dirt, the trail, the road or the water. Jameson is the head pharmacist at the City Creek Harmons and regularly leads the Harmons cycle team in the MS Ride in Logan, UT. Favorite ride: "A beautiful east wind in Big Cottonwood with the boys"
Bio: Tek's recorded USAC results for the past ten years will blow your mind. He races hard! In 2014 Tek placed 1st in the Everest Challenge Stage race and in 2015 finished 2nd in his division at LOTOJA. Tek is a fantastic mentor, friend and riding partner. His "go to" ride takes him along Wasatch Blvd. to Little Cottonwood Canyon and when he is riding with the team he can be found waving at every passing cyclist and yelling at everyone who isn't wearing a helmet. Why I Ride: So I can eat what I want and ride my dirt bike longer. Bio: Zane grew up in the Avenues of Salt Lake City, UT. He spent a lot of time snowboarding at Park City and Brighton before he became a family man. He is a father to Two girls and is Married to Stacey Miller. Zane Currently works for the Larry H. Miller Group of Companies.